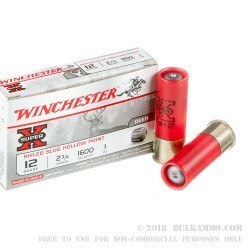 This 12 Gauge shell from Winchester’s Super-X line of ammunition is loaded with a one ounce slug. Designed especially for use in smoothbore shotgun barrels, this slug’s rifling offers improved accuracy as well as sectional density. 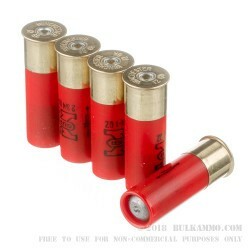 Its hollow point causes significant expansion upon impact, which in conjunction with its very fast 1,600 fps muzzle velocity provides excellent stopping power against rugged game animals including deer, elk, and caribou. 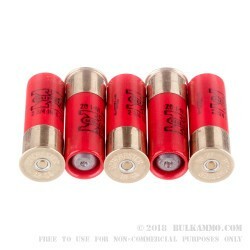 If you would like to hunt in areas where a rifle’s bullet would put far away bystanders at potential risk, then this slug will be your best friend. The Super-X brand has stood for exceptional quality and outstanding performance for all types of hunters and shooting enthusiasts since its introduction in 1922. This shell’s strong roll crimped plastic hull, uniform and reliable primer, and clean burning propellant are all worthy of Winchester’s respected name.